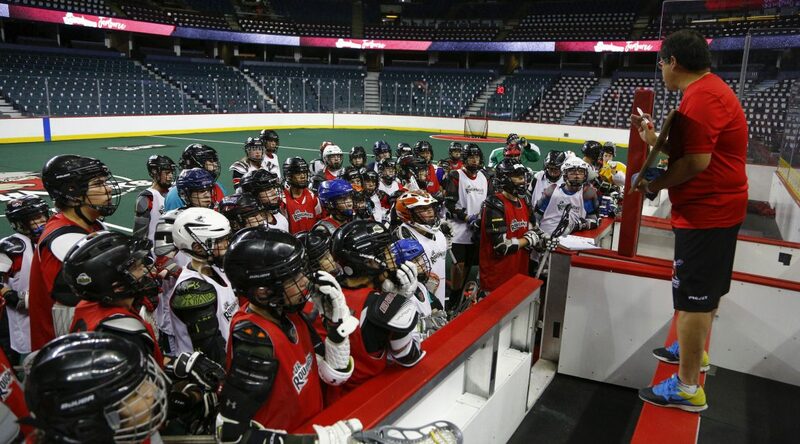 Calgary, AB – The Calgary Roughnecks are proud to announce the return of the Jr. Roughnecks program. Three youth teams will be selected to participate in the seventh annual Jr. NLL Tournament, to be held at the Toronto Rock Athletic Centre in Oakville, Ontario, on August 23-25, 2019. Registration is now open and will close on May 1, 2019. Registration includes a minimum of four on-floor sessions, a Roughnecks pinnie, a Roughnecks dry-fit shirt and two game vouchers for the Calgary Roughnecks 2019-20 Home Opener. All players must pre-register online and pay a non-refundable fee of $100. Open tryout sessions for Peewee, Bantam and Midget teams will be held throughout the month of June – locations to be announced. Jr. Roughnecks tryout registration, along with details outlining the estimated tournament cost, can be found at calgaryroughnecks.com/jrroughnecks/. For additional information, contact Jr. Roughnecks coordinator Steve Harlow at stevejroughnecks@gmail.com.